Dos Equis, seemingly borrowing a page from The Simpsons, has announced plans to trade one iteration of its famed spokesman for another. According to The Hollywood Reporter, the beer company is ending its campaign with Jonathan Goldsmith, the actor who’s currently portraying Dos Equis’ version of The Most Interesting Man In The World. Goldsmith has played the fascinating figure for 10 years, so his character’s earned more than just a golden parachute for his retirement—he’s getting a one-way ticket to Mars. Goldsmith’s final commercial as the endlessly-intriguing spokesman will see him bid adieu to people from all over the globe as he heads to the red planet to hang out with Matt Damon, presumably. He of course has a lovely astronaut to accompany him on the roughly six-month journey. The commercial will premiere on air on March 11 during a Los Angeles Lakers and Cleveland Cavaliers NBA game. The spokesman character was always a man of few words (in the commercials) beyond his catchphrase, which saw him express his tolerance for Dos Equis whenever he found himself drinking beer. Although it wasn’t phrased as a ringing endorsement for the beer company, the silly, over-the-top tableaux of the character’s remarkable life made the campaign memorable—he was, after all, the man who frightened the dark, and who turned a vampire into a vegetarian. 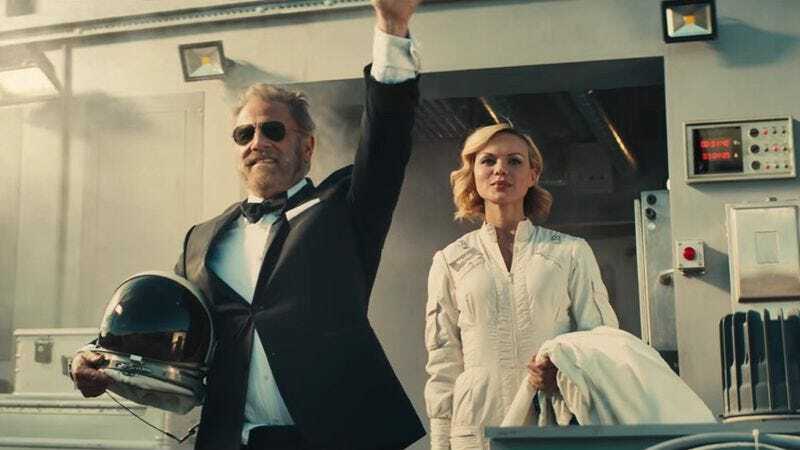 Dos Equis is a subsidiary of Heineken International, which just launched its own campaign involving an interesting man (though one who’s apparently often mistaken for Antonio Banderas).